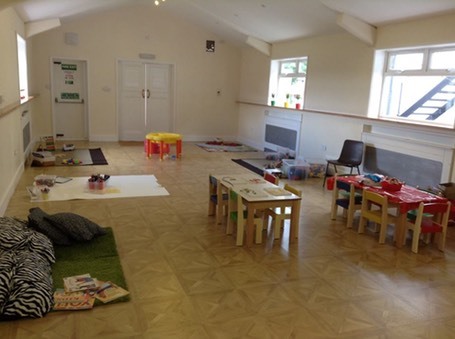 Choosing a preschool or playgroup for your child? Find out more about a local teacher-led early years provision for two to five year olds aiming for the next best thing to family care. Play B C is a new teacher-led preschool opening in Wallington in Autumn 2014 for children between two and five years of age. "We value social and intellectual learning equally," explains Play B C preschool leader Mrs Dann, who is a �qualified teacher with eight years Early Years Foundation Stage experience. "We believe what your child learns now is just as important as what they will learn in later years." "There can be few jobs as rewarding or as important as those in early years," adds�Mrs Dann, who has a�Master’s degree in Education and an Advanced diploma in Special Educational Needs.��"I chose teaching because I love working with children and because I am passionate about making a difference." Good preschools and playgroups have a lasting positive impact in all areas, particularly where a trained teacher is present. This means sensitive adult interaction and developmentally appropriate activities, which are very important to Play B C.
"Our key person system allows children to have someone, as developmental psychologist Bronfenbrenner puts it, who is ‘crazy’ about them," explains Mrs Dann. "It has been acknowledged that people working in early years develop strong feelings for the children they care for and in my opinion that is as it should be. Your chosen preschool’s team cannot be the same as family, but should come close." "Our well-qualified and experienced staff prioritise developing a relationship with your child and offering fun but challenging learning," says Mrs Dann. "We offer more than a place. At Play B C Preschool we aim to make every day a learning adventure and be the next best thing to families. Early Years Foundation Stage learning is delivered through play in a safe and welcoming environment, underpinned by our core values of respect, relationships and responsibility." A Play B C Open Day is planned for July 24th between 10.00am and 12.00pm when Captain Cutlass will be there for some pirate-themed fun for little ones. "Come along for a cuppa and to meet the team!" says Mrs Dann. So if you are looking for a safe, welcoming environment for your child which offers as close to family care as possible, why not give Mrs Dann a call?